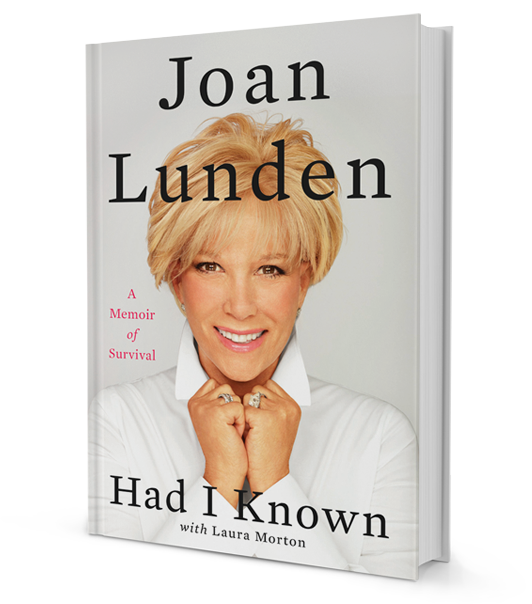 Purchase Joan Lunden’s Latest Book! 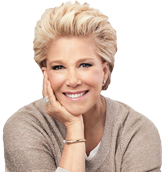 In Had I Known, the former host of Good Morning America, health advocate, international speaker, mother of seven, grandmother of one and New York Times bestselling author, Joan Lunden, speaks candidly about her battle against breast cancer, her quest to learn about it and teach others, and the transformative effect it has had on her life. Or, Please email your contact information to Harriet at bookedbyharriet@hotmail.com . She will email or call you back regarding payment and shipping. With a large extended family counting on her, giving up was not an option. After announcing her diagnosis of Stage 2 Triple Negative Breast Cancer on Good Morning America, people all over the country rallied around Joan as she went into warrior mode. Joan appeared on the cover of People Magazine bald, showing the world her brave resolve and that breast cancer does not need to define you. Uncharacteristically vulnerable, irreverent and straight from the heart, Had I Known is a deeply personal and powerful story of pain, persistence, and perseverance in which Joan openly evaluates her decision to go public with her battle, shaving her head, wig shopping, re-connecting with her viewers, rediscovering her purpose, and ultimately realizing that sometimes you have to look back to move forward. "There are few women in America whose lives have been as authentically lived in the public eye for as many decades as Joan Lunden. Readers will be surprised to learn how Joan’s own life has been enriched, informed and her spirits buoyed by her personal daily interactions with her fans." Since the beginning, Joan has been sharing her journey with family, friends and fans through her articles and video updates. Visit Joan's Video Blog to get a personal look at her life as she battles against breast cancer.